Since my two older girls have started school again, Mina's old playschool group is back together. 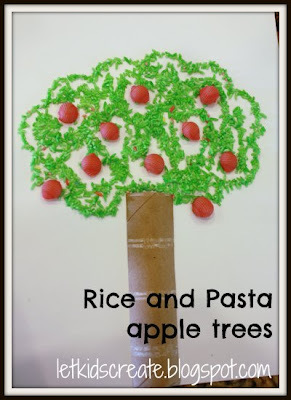 This week I hosted and the kids made these apple trees to go along with our theme. In preparation for this project, I made sure I had enough colored rice and pasta by dying it this way. This time I used rubbing alcohol instead of vinegar and had similar results. We started by first attaching the cut paper tube with glue. Then, added the "apples" first since they would stick better to the board itself instead of trying to glue them on top of the rice. I planned on having the children lightly pencil in an outline for the tree top, but forgot to grab pencils before hand, so they just put glue where they pleased and attached their rice (shaking off the excess into a pan I had in the center of the table). 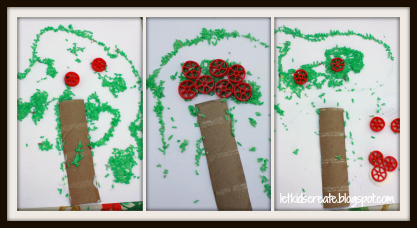 One child commented that this was the best craft ever. So I think they were pleased with the whole process. Each tree was so unique. 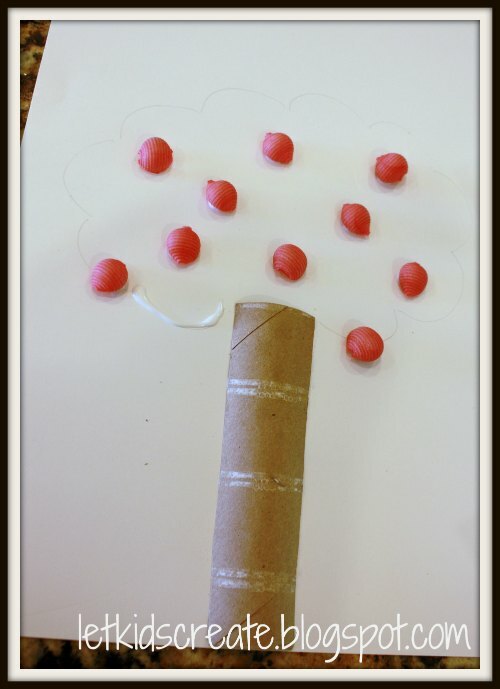 Some kids wanted apples falling from the tree, while another wanted leaves to be growing down the trunk. While the art/craft project was drying, they did a little apple tasting. 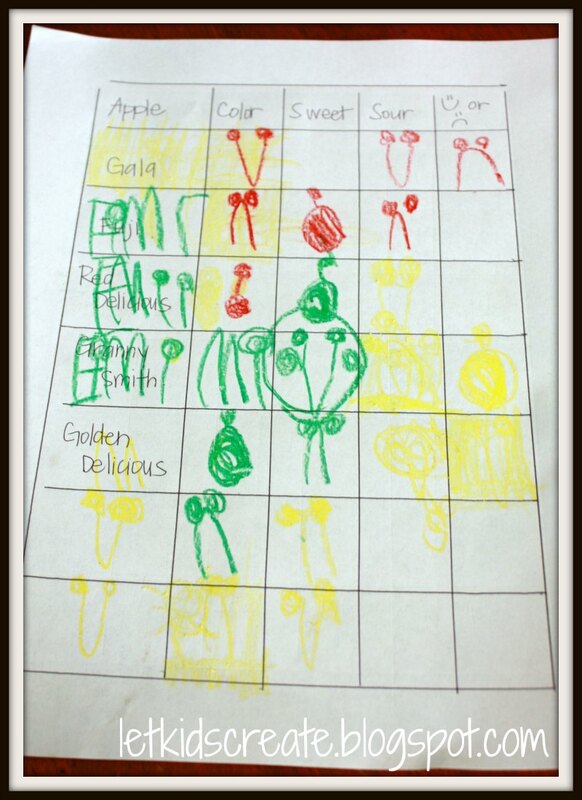 I made up a chart so they could observe the color of each apple, along with whether or not they liked the flavor. The chart really wasn't necessary with this age group, but it was fun to try. They all loved trying all the different flavors of apples. And I have to say, I was impressed that most of the kids (minus my own) even ate the skin. I wish grace could be part of your group. I think her and I will need to do this tomorrow. This looks like a fun activity and I love the addition of the graphing apples too!